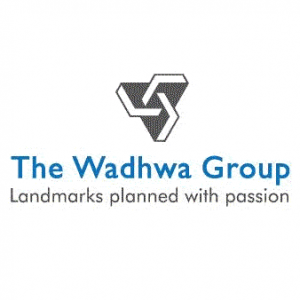 The Wadhwa Group carries a rich legacy of over half a century built on the trust and belief of our customers and stakeholders. The group is one of Mumbai’s leading real estate companies and is currently developing residential, commercial and township projects spread across approximately 1.4 million square meters (15 million square feet). Timely completion of projects coupled with strong planning and design innovation gives the group an edge over its competitors. As an organization, the group is also known for its employee-friendly and professional working environment. Today, the group’s clientele comprises of over 20,000 satisfied customers and over 100 MNC corporate tenants. All properties of The Wadhwa Group incorporate their proprietary design philosophy ‘Ventilit’ which emphasizes on the elements of height, light and air. Every space is built to maximize cross ventilation, natural light, and higher floor to floor heights further add to the expanse of the apartment. Over the years, The Group has received many awards for both its commercial as well as residential projects. Among them are accolades at the Asia Pacific Property Awards 2013-2014, CNBC-AWAAZ Real Estate Award by RR Kabel for W54 and the International Property Awards Asia Pacific. The Capital and Platina at BKC are among their noted commercial projects and The Address, Ghatkopar West; Anmol Fortune, Goregaon West; W54, Matunga West; Solitaire, Powai and Aquaria Grande, Borivali West are some of their well-known residential projects.